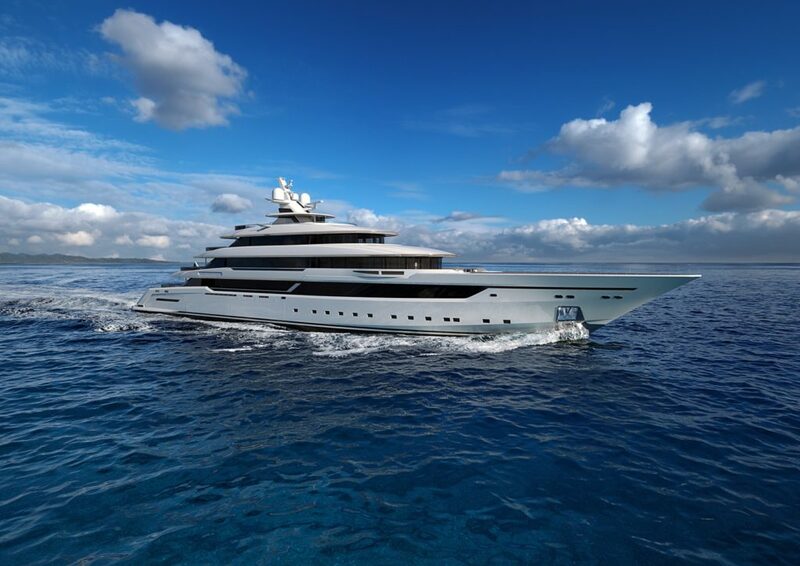 COLUMBUS YACHTS UNVEILS THE NEW 80-METRE UNIT. 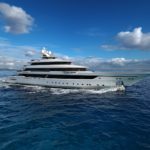 THE FIRST MEGAYACHT OF THE SHIPYARD IS BUILT USING INNOVATIVE PROCESSES AND TECHNOLOGY. 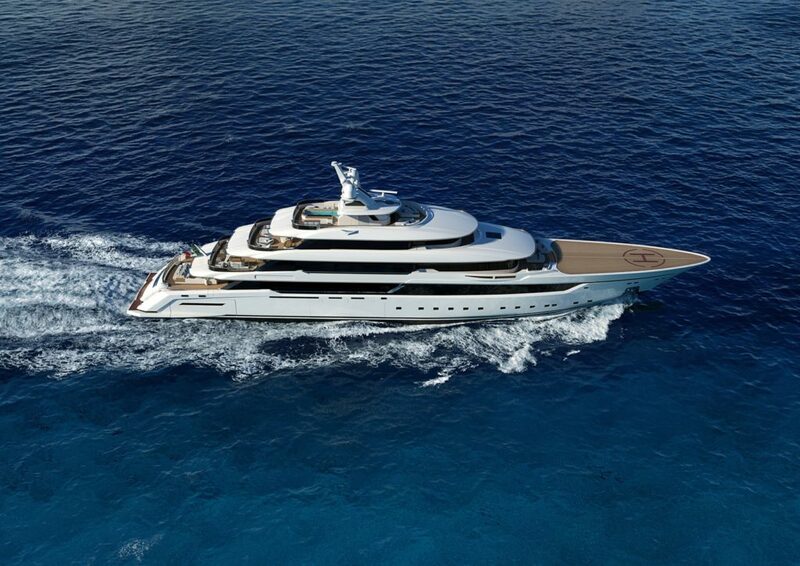 The construction of the new model marks the debut of Columbus Yachts in the megayacht segment. Built with a new approach to construction processes, the unit will be delivered to her owner in 2019. 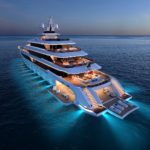 The yacht features classic yet contemporary lines, developed on six decks, and will be the first unit in a range that will grow on larger sizes. 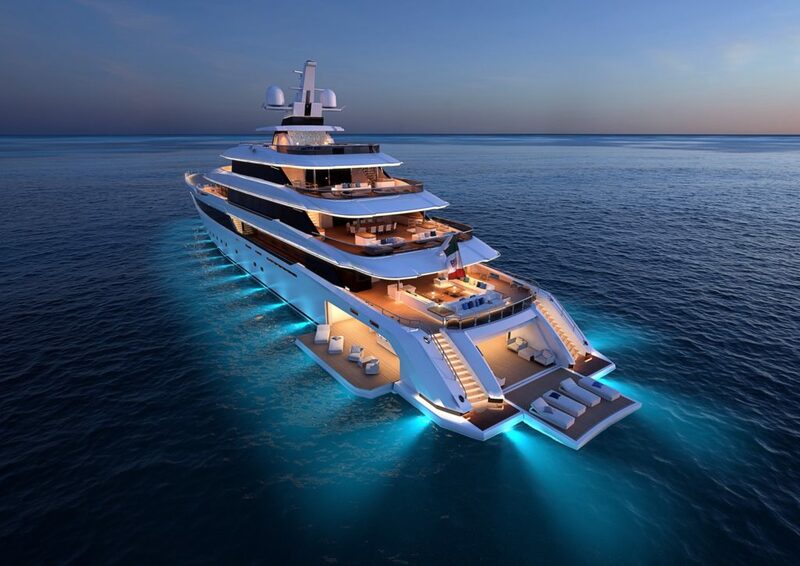 79.50 metre long and 13.00 m wide, she is a full-displacement megayacht, with steel hull and aluminium superstructure. The construction process required great organizational skills and coordination between the two production sites of Naples and Ancona. 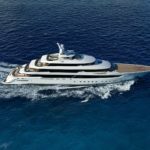 “Over 50 years of experience in building and refitting large ships” – states Giuseppe Palumbo, CEO of Columbus Yachts – “allow us to enter the megayacht segment with full confidence in the results we can achieve, thanks to the skills we have acquired during this long journey, and to the excellence of our Company, which we are proud of”. The lines are characterised by great formal balance of almost Renaissance inspiration and an understated sense of elegance, giving the Columbus 80m the harmony of a yacht that harks back to the celebrated ‘ocean liners’ of the 1950s and 60s, while promising to keep up with the times, even in the years to come. These guidelines underpin the longitudinal sweep of the bow, the white colour of the hull broken only by the big windows and the transverse flaring of the various decks. Care for details, high quality material, elegant sobriety. The interior is focused on an extremely contemporary style, the tones are neutral and unobtrusive, the decorative elements have simple and clean lines. Even fine materials used for coatings and furnishings are matched with the aim of creating a modern and sophisticated atmosphere. The spaces on the yacht are laid out on six levels, from the under-lower deck to the sun deck, in a rational arrangement that offers the owner, guests and crew the utmost comfort and convenience at sea. A circular glass-walled lift connects the five main decks, starting from the lower deck which is the preferred access point to the yacht for passengers arriving by tender, up to the sundeck, where it opens to spectacular effect onto the outdoor area. The entire level on the upper deck is dedicated to the owner. The suite itself consists of a big double bedroom area with the bed arranged in the bow and a fantastic 180-degree panoramic view, an area furnished as a private studio, and a third area for any guests. 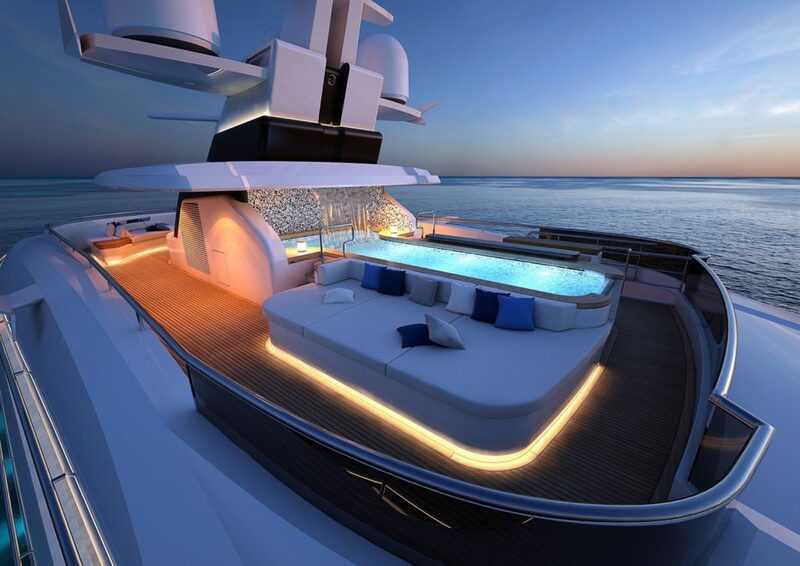 The outdoor private areas, on the other hand, include a big terrace in the stern, as well as a balcony in the bow that offers an unbroken view of the horizon. Six big double suites provide guest accommodation in the forward section of the main deck, while a seventh cabin on the lower deck can be used as a ‘wildcard’ for last minute guests. One of the most distinctive spaces on Columbus 80m is located on the sun deck: the stunning panoramic pool, which is seven meters long and fitted with a counter current swimming system. It is fed from above by an eye-catching waterfall, which also acts as a virtual partition, separating the pool from the hydromassage tub. Located inside the mast structure, the tub is closed on three sides, conjuring up the magical sensation of a grotto hidden behind a blade of water. The stern section of the lower deck is also set aside for guests. 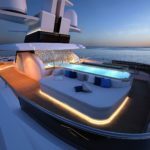 In it, the stern wall and the two side walls open outwards, extending the deck area from 100 to 200 square meters and creating a big water level beach club with sun loungers, a bar and a toilet. The two lateral garages contain two tenders (10 and 7.5 meters) and are served by a guest boarding platform, with direct access to the lobby and the main lift. The forward section is set aside for the crew, with a big galley/living area and eight cabins for 19 people. When not in service, the crew can relax in their own gym on the under-lower deck, which is connected by a service lift to all the other decks so that the crew can easily move around the yacht without disturbing the owner or guests. The amenities also include two forward garages for a tender / rescue boat and three jet- skis, a helipad, a sauna in the beach club, a gym on the fly deck and a cinema and multimedia room on the upper deck. “In order to build Columbus 80m – explains Francesco Carbone, Columbus Yachts’ General Manager – a new manufacturing process has been implemented. This required a complex organization, on different levels, which has been possible thanks to the Group’s 50-year- long experience in building, refitting and maintaining yachts and ships, including cruise ships and cargo vessels, served by our network of shipyards which is the largest in the Mediterranean. The construction of Columbus 80m has thus been split into different sites, working in parallel and not in series”. The steel hull has been made at the Naples facilities. By the end of June 2017, it will be moved on a barge from Naples to Ancona’s production site, where it will be coupled to the superstructure, built there in aluminium. In this way, the two sections have been made at the same time, following the same quality requirements but accelerating time to delivery, which shortens by about 8 months. Gianpaolo Lapenna, Columbus Yachts’ Project and Product Director, adds: “The implementation of the process has been a challenge on several points of view: structural, engineering, constructive and logistical. When the hull reaches the superstructure in Ancona, the “wedding” will take place in the new shed that we are just completing there aside the existing structures: a facility which can simultaneously accommodate two units up to 110 meters. We have collated all the elements with a perfect sync”. Columbus 80m megayacht is powered by two 2240 KW (3044 HP) engines with shaft transmissions, installed in the mid section of the lower deck. The engine compartment also houses the three 300KW generators and the 125 KW auxiliary one. A dedicated technicalroom, acoustically and thermally insulated, hosts all the systems which are not directly related to propulsion: air conditioning pumps, hydraulic systems, desalinators. The shipyard opted for classic solutions from a technical point of view, with a great deal of attention to navigation autonomy, both in terms of range (6,000 nautical miles at cruising speed) and of independence, as shown by the exceptional capacity of all tanks, the desalination capability, the huge amount of space for pantry, storage and service areas across the six bridges. The comfort on board is emphasized by the presence of four, 5-square-meter large stabilizing fins.